So, you’re drawing up your event plans for next year. How are you going to grow your event without compromising what has made it different and special from others? NO! Many think event technology, especially apps, is an alien platform suitable only for the mega tradeshows, not made for intimate circles or well-acquainted industry events. In fact, event apps are just as relevant for the small, intimate networking summits & conferences as they are for the big boys! If you’re an app newbie or are worried you can’t justify an app, here are 5 reasons no event is too small for an event app. Your app is an additional arrow to your event bow. It’s another platform for sponsors to advertise on and showcase their products/services. More value for your sponsors means more chances to close a deal with a sponsor and increase revenue. Networking – event apps foster networking at events. The more connections, the more opportunities for sponsors to talk to attendees. Sponsor banners, landing pages and external pages. Shows your event is evolving and not standing still. As Nokia’s CEO Stephen Elop said in 2013 on the sale of Nokia to Microsoft, “We didn’t do anything wrong, but somehow, we lost.” Failure to move with the times and adapt to a changing marketplace can make your service redundant. Controlling budgets is even more important on a smaller event when money is tight. An event app gives you real-time analytics to show your sponsors, speakers, exhibitors, and budget makers how successful your event is. Measure the popularity of sessions through quantitative measurement. How many people were at a session? How many people provided ratings or asked questions? What was the most popular stream in pre-bookings? Measure the popularity of your sessions and seminars through qualitative measurements. Use a follow-up survey or poll to gauge attendees views. Time is a valuable commodity, especially the higher up a company your delegate list is. Each delegate can plan out their time at your event through a personalised and manageable agenda. Book in meetings with existing and potential customers and/or suppliers. An event app gives you a dynamic agenda that is editable up to and on the day of the event. If something goes wrong then keep it all up to date in real time on the app. Move everything forward an hour, remove a session, or replace a speaker. Nobody likes a spelling mistake, especially not sponsors or headline speakers. Repair typos quickly live and on-site! Reduce your impact on the environment – less paper = less waste. Digitally organising the agenda aids punctuality. Push reminders to attendees and email guests before and on the day of the event to remind them. Ensure ticketed events remain exclusive and secure. Use the app to secure access to paid elements of your event with automated check-ins. So these are five reasons your small event will benefit from an app. But we’ve got plenty more. 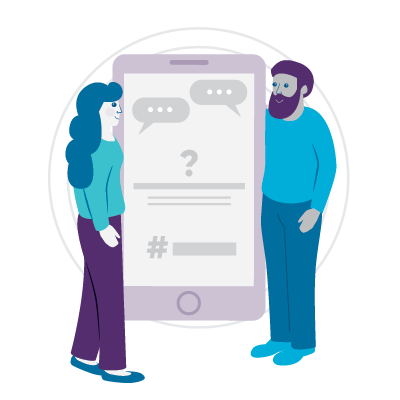 If you’d like to chat through how an event app could benefit your small event, meeting, conference or exhibition, call the Event Builder team at VenuIQ on +44 121 796 5800.